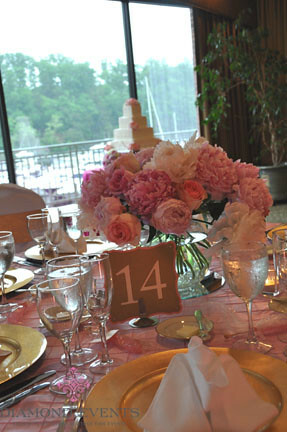 Jamie and Eric’s wedding in tones of blush and gold was romantic and elegant. 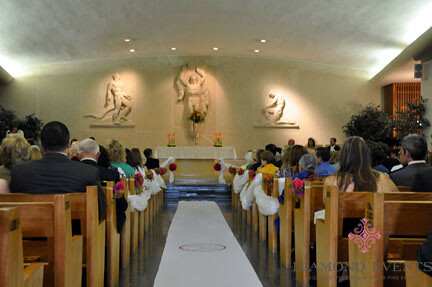 The chapel where the couple held their ceremony was commiissioned by the brides grandfather and held a special meaning for many of the guests. 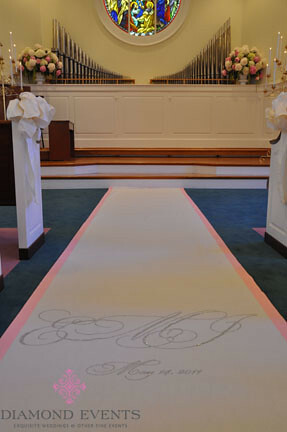 Large peony arrangments in blush and white decorated the altar and a custom aisle runner with rhinestone accents added the extra “bling” that the bride was looking for. 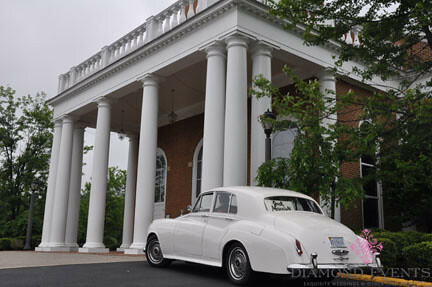 After the ceremony the couple travelled in a vintage Rolls Royce to the reception at Harbour View Event Center in Woodbridge, Virginia. 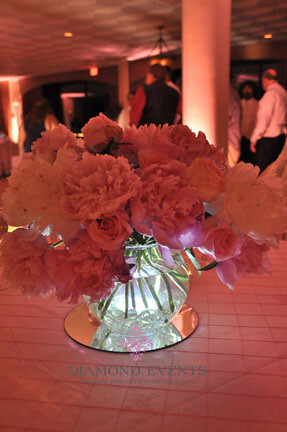 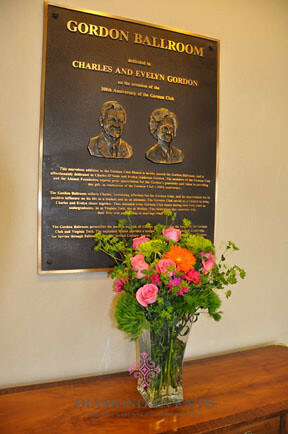 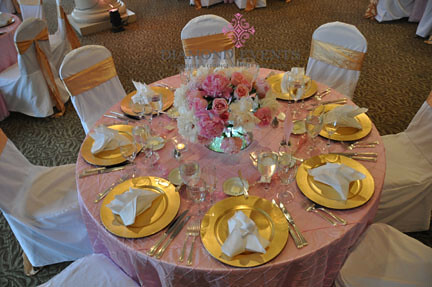 The tables were dressed in soft pink pintuck with gold chargers and soft, round centerpieces bursting with peonies. 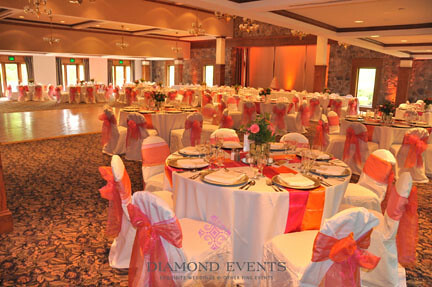 The chairs were covered in white chair covers tied with gold satin sashes and rhinestone buckles. 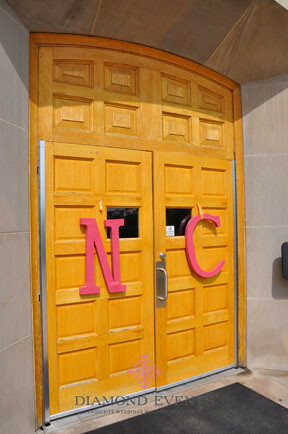 We are so fortunate to have had the pleasure of being interviewed by Katelyn Polantz, a reporter from the Roanoke Times and being featured in two articles in the business section on Sunday, January 24, 2010. 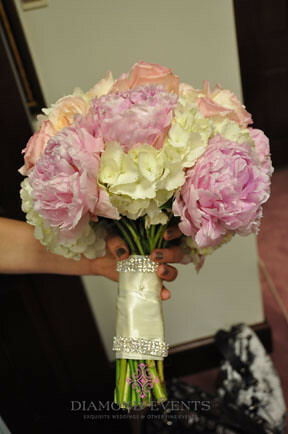 Katelyn spent a busy Saturday with us, packed full of appointments. 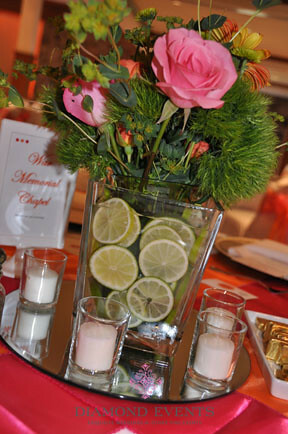 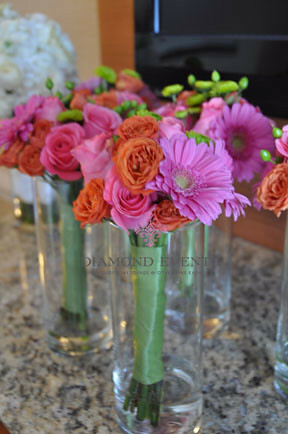 It was the perfect day to showcase all of the pieces that are involved in planning a wedding. 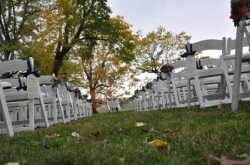 Recessions and boom times barely affect the number of ceremonies. 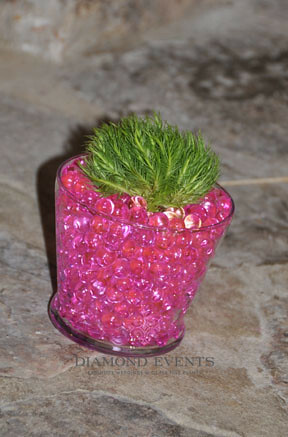 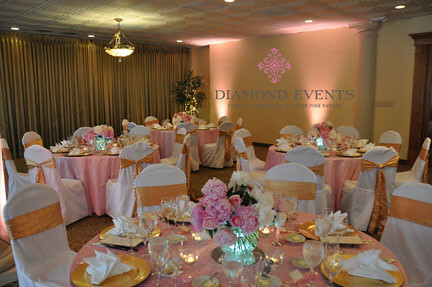 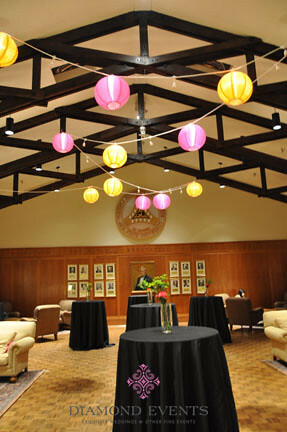 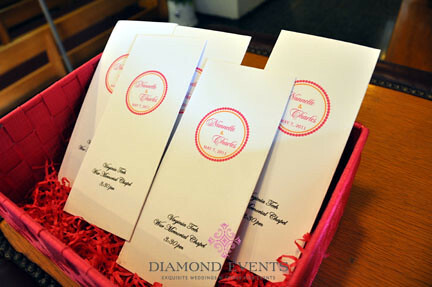 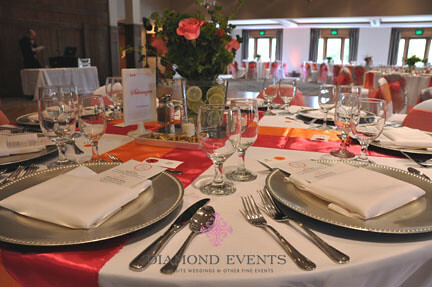 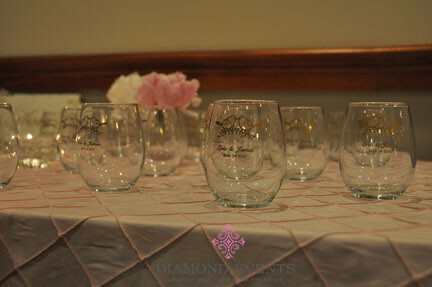 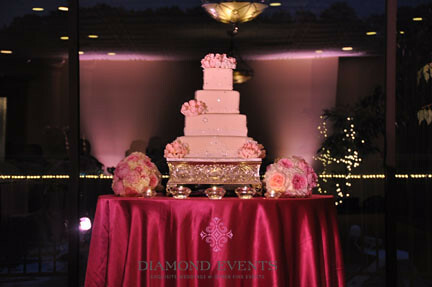 Diamond Events has a new look and we can’t wait to show it off! 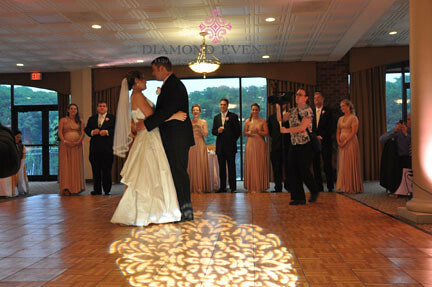 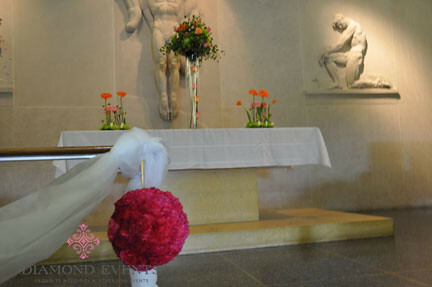 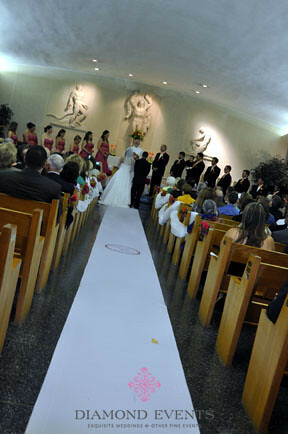 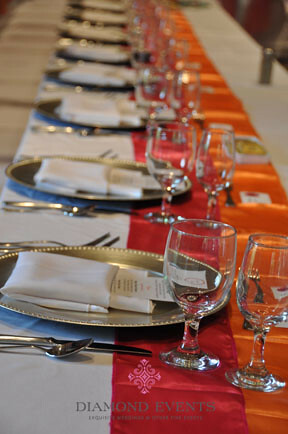 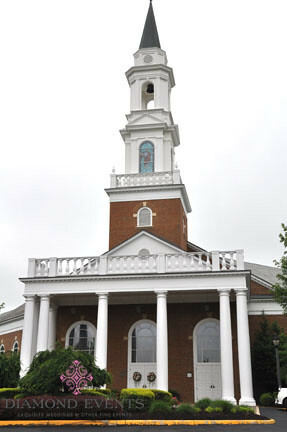 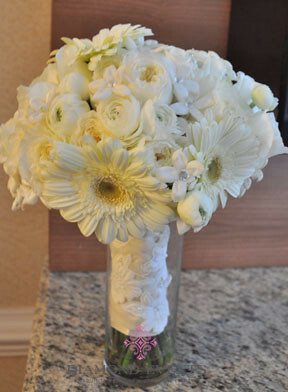 We’ve already updated our twitter page, but soon to come will be our facebook fanpage, wedding blog, website and more! 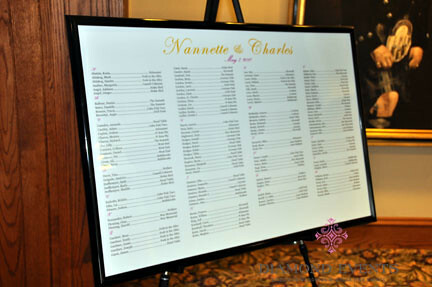 What a great start for 2010.